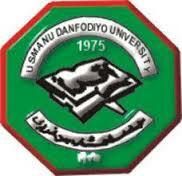 Usmanu Danfodiyo University, Sokoto, UDUSOK Postgraduate School Full-Time/Part- Time Postgraduate Programmes Admission Form, Requirements, Application Guidelines for 2018/2019 Academic Session. Application forms are available for sale, online, as from 30th June to Friday 21st December, 2018. at the cost of Ten Thousand Naira (N10,000.00) only. Appropriate administrative charges will be applied. All Nigerian debit cards are accepted.